Can You Really Start a Cannabis Food Truck Business in the United States? On January 1st 2018, the use of recreational marijuana became legal in the state of California. In addition to marking the end of prohibition on marijuana use by anyone over 21-years of age, dispensing cannabis products became viable business opportunity for entrepreneurs the same year. But just because the state now views the adult use of marijuana to be acceptable and taxable activity doesn’t mean just anyone can open this form of business. This type of business is highly regulated from a license requirement and cost standpoint. Which brings us to the question of whether or not you can start a legal cannibus food truck that sells marijuana products in it’s many different forms. As you may already know, cannabis can be smoked or consumed through a variety of edible products including butters, all sorts of baked goods, lollipops and just about any other variation you can think of. In theory, being able to sell these products from a mobile unit like a truck could be hugely advantageous, allowing you to profit from major events like festivals, music concerts, or other events where retail dispensaries cannot reach. If this is something you’ve thought about, kudos on the innovative idea. Unfortunately, at the time of writing there are no active food trucks we could find that actually sell cannabis products from a truck. We will get into some of loopholes and work arounds later in this statement later article, but as a general rule of thumb if you’re thinking about starting a marijuana food truck you probably won’t be able to create this business no matter what state you live in. 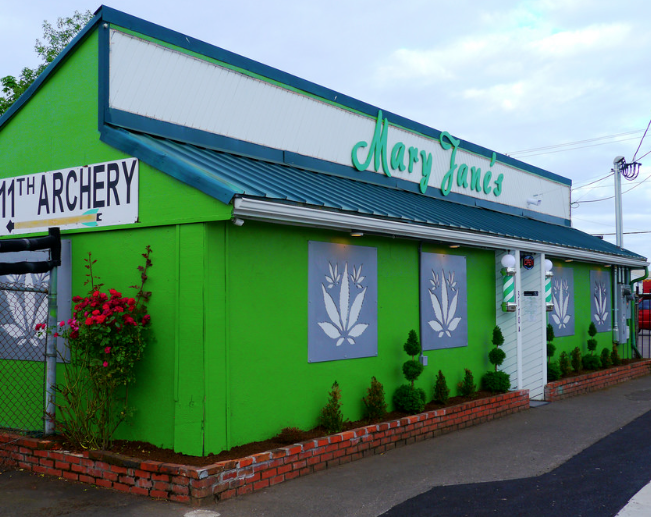 A Marijuana Dispensary in Oregon. Why Can’t I start a Marijuana Food Truck? Over the past half decade, many states, including Nevada, Colorado, and Oregon have continued to move towards the gradual legalization of this product. But acquiring all the licenses and permits for accomplishing this goal varies a lot from state to state. At the time of writing, the entire state of Vermont has only registered a grand total of four dispensary registration certificates. Which brings us to the question of whether or not you can start a cannabis truck in your area? The short answer is you in most cases won’t be able to start this business no matter what state you live in. How come? The first legal reason is that you often need a permanent property with diagram that meets the requirements of the city / state you plan to serve. As you can see from Section C of the cannabis micro business application for the state of California by law you’ll need to clearly outline the boundaries of your property when going through the application process. Mobile units don’t have property boundaries like a retail business would. When you dig deeper, you’ll begin finding some extremely specific building requirements that would be impossible to meet on a standard sized food truck. A cannabis micro business in California must have a break room, changing facilities, bathrooms, and separate storage areas. There must also be an entrance and exit for customers. Of course you could submit an application and plead your case with the Bureau of Cannabis Control in California, but our guess is that the efforts won’t get you far. Complicating matters further is the requirement to provide Evidence of the Legal Right to Occupy. If you own the property you plan to vend then this is simple as you can provide a copy of the title or deed. However, most food trucks vend in locations they don’t own. If this is your situation, a statement from the property owner must be provided stating that you have the right to occupy the property and conduct cannabis related business activities. Finally, if pursuing this business idea isn’t daunting enough, you’ll need to ensure that your city and county allow cannabis businesses. Even though the business is legal from a state perspective, many cities or counties do not allow these businesses to operate legally. Many folks still don’t want a cannabis dispensary in their backyard. A MedMen Billboard in Southern California. Even if you were able to acquire the licenses to operate a marijuana business, doing so won’t come cheap. Before you even rent a retail location in an approved location you’ll need to get licensed. If you plan to open a storefront you’ll need to pay $1,000 per year and an additional $4,000 – $72,000 annually depending on volume of sales according to an LA Times piece. These fees are in addition to business operating expenses like inventory, labor, rent, electricity, and security. According to this piece on Quora, it will cost about $150,000 – $200,000 before any fees or licenses to get started. That’s a lot of green! Are there loopholes to this rule? As we’ve stated starting a marijuana food truck is nearly impossible at the time of writing. But the good news is that the laws around operating this business changes are rapidly changing. What’s impossible today could be a legitimate business opportunity 2 – 3 years into the future. An element called THC is what gives marijuana it’s desirable properties as a product. In short, it’s the part that gets you high! An edible truck in New York City started selling weed lollipops with the THC removed from their product. Removing the THC allowed this truck to legally sell their product within the city. So there you have it, as long as the product you sell doesn’t contain any THC you might be able to operate this business mobile. You also might have a hard time finding repeat customers! Your advertising opportunities become severely limited when your product is cigarettes or marijuana. Whether it’s television, radio, or social media advertising there are limitations to where you can advertise. But one place that isn’t restricted to this marketing this product is billboards! If you live in Los Angeles or San Diego you’ve no doubt seen billboards for the retail and delivery service MedMen. 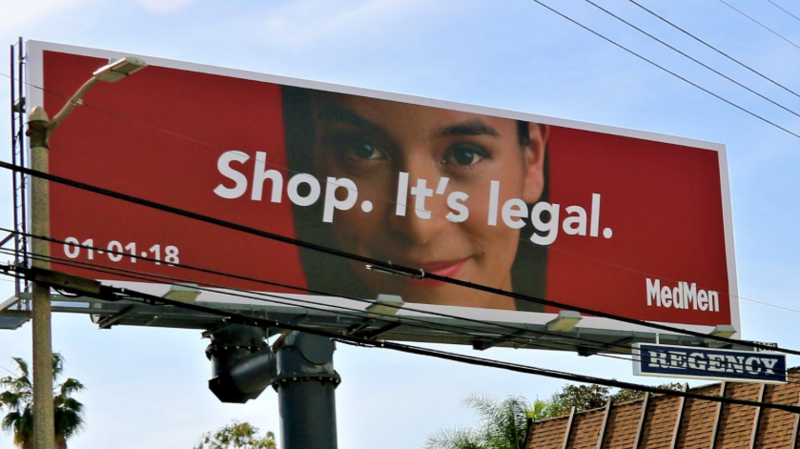 Part of the reason MedMen chose billboards for their advertising campaign was because other options weren’t available. As a food truck owner, you can get your truck wrapped with any marketing message you chose (within reason of course). Then your truck can be driven to where crowds are gathered to promote your message. This unique form of marketing is often called a food truck takeover. Transporting large quantities of marijuana is a lot like moving money. Marijuana is valuable and a car or truck can carry tens of thousands if not hundreds of thousands for dollars worth of product. As a result, just like cash money, it needs to be protected. One company that serves this industry is MPS International. No doubt more companies like this will be started in the coming years to serve and protect the profitability to this industry. Party buses allow riders to consume alcohol in excess while a sober and professionally trainer driver takes riders from point A to Point B. However, most party buses don’t allow you to smoke cannabis or cigarettes while onboard. This creates an opportunity for you as a business owner to come in and provide a mobile transportation solution that allows customers to smoke on the go. As long as you don’t mind the smoke this is an affordable way to capitalize on the increasing legalization of this growing industry. What are Food Skoolies? Who Operates Them? The Auntie Anne’s Pretzel Food Truck is Completely Amazing. Cooking is My Passion. Should I Start a Restaurant? 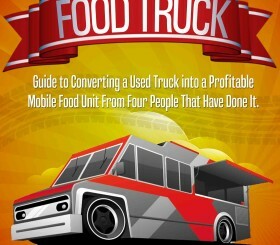 Building Your Own Food Truck? Avoid Common First Time Builder Mistakes By Downloading Our Fast Start Guide.